THE Supreme Court has ordered the MDC to pay a South African company and a Bulawayo garment firm nearly R5 million for party regalia supplied to the opposition party during the 2008 elections. The party ordered 200 000 T- shirts and head scarves commonly known as “doeks and bandanas” from a South African wholesale textile company and a Bulawayo garment manufacturing firm for use during its campaign ahead of the 2008 Presidential election runoff. The late Mr Morgan Tsvangirai later opted out alleging acts of violence against his party supporters. The manufacturing firms, Cabat Trade and Finance (Pvt) Ltd of Johannesburg in South Africa and Security Mills (Pvt) Ltd of Belmont in Bulawayo charged the party about R 4, 6 million for the consignment but it failed to pay. The two firms sued the opposition party at the High Court and the MDC won the case last year but the matter spilled into the Supreme Court on appeal. Supreme Court judge Justice Bharat Patel sitting with Deputy Chief Justice Elizabeth Gwaunza and acting judge of appeal Justice Martin Makonese on circuit in Bulawayo set aside the High Court judgment. He ordered MDC to pay Security Mills R4, 5 million together with five percent interest calculated from April 2008 to the date of final payment. “It is accordingly ordered that appeal be and hereby allowed with costs. The judgment of the court a quo is set aside and substituted with a judgment ordering the respondent (MDC ) to pay the second plaintiff (Security Mills) the sum of R4 560 935,37 together with prescribed rate of five percent per annum,” ruled Justice Patel. The judge also ordered MDC to pay the legal costs incurred by Security Mills. The Supreme Court ruling follows an appeal by Security Mills against Bulawayo High Court Justice Maxwell Takuva’s judgment in favour of MDC. According to court papers, sometime in April 2008, then MDC senior member Mr Eddie Cross and Mr Simon Spooner entered into an oral contract with Mr Lawrence Zlattner, representing Security Mills, in terms of which the former ordered on behalf of the party material for the 2008 elections. Mr Cross and Mr Spooner made an undertaking to pay as MDC agents but they defaulted after Security Mills had supplied the consignment. In dismissing the application, Justice Takuva said Mr Zlattner took a conscious risk and acted recklessly without ascertaining who exactly he was contracting with. 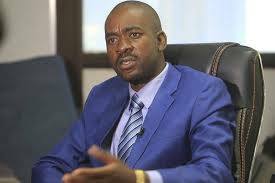 He said Security Mills failed to discharge the onus of showing that by reason of the MDC-T’s conduct they had been led to supply the goods in question on the strength of representations made by the opposition party. MDC, in its heads of argument filed by its lawyer Advocate Kucaca Phulu who was instructed by Mwonzora and Associates, argued that Mr Cross and Mr Spooner did not have “express authority” to enter into a contract with the manufacturing company thus there was no legal basis of suing the party. He said it was quite clear that the contract was entered by Mr Spooner not on behalf of MDC-T but for the benefit of the party. The party further argued that neither Mr Cross nor Mr Spooner had authority to enter into contracts on its behalf. The party also denied that it had purchased anything from Cabat Trade and Finance. Security Mills, through its lawyer Advocate Richard Fitches who was instructed by Joel Pincus Konson and Wolhuter, said neither Mr Cross nor Mr Spooner and or the MDC paid for all the T-shirts, bandanas, doeks and other material despite an agreement entered by the parties.